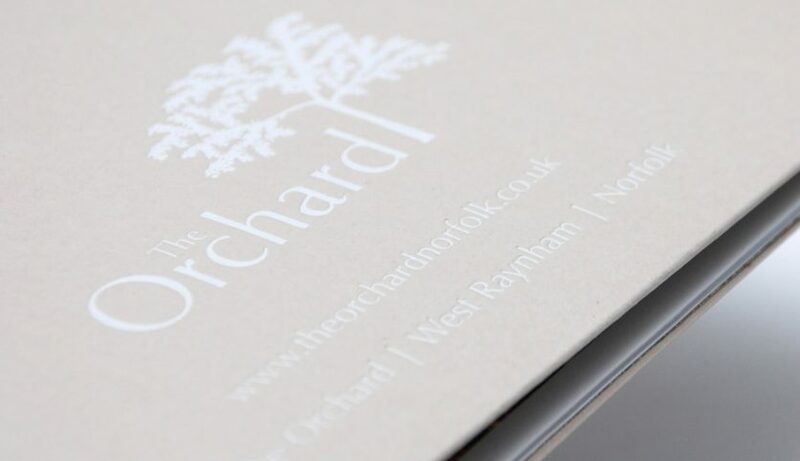 Property brochure designed for The Orchard, a new property development in North Norfolk, commissioned by Sowerbys Estate Agents. 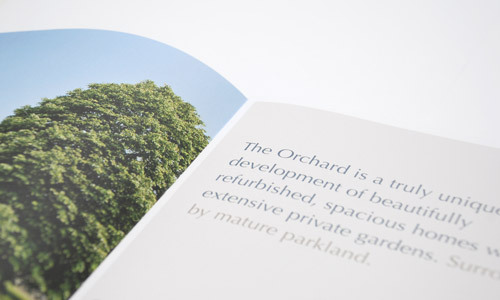 The brochure cover and pocket consists of white foil blocking, debossed on Kaeykolor reKreate Sandy Beige paper stock. 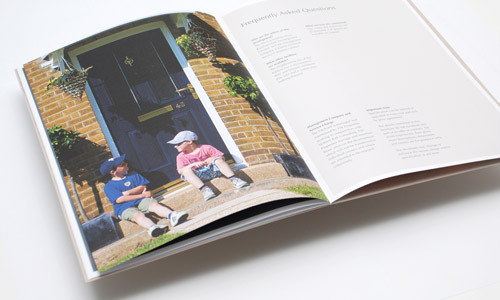 The internal page designs feature a combination of large photography and typography set on block colour. 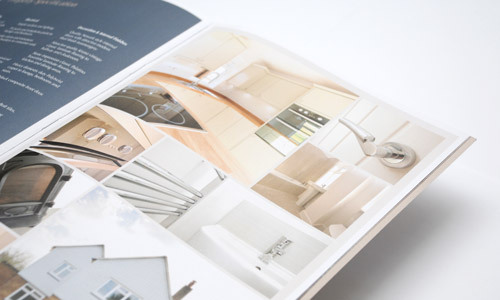 The inside back cover of the brochure has a pocket to hold a range of property detail inserts, allowing the brochures to be easily customised and updated.